• High average review rating of jewelry collection. • All handmade jewelry, well polished and one by one quality controlled. • Affordable prices and luxury appearance. 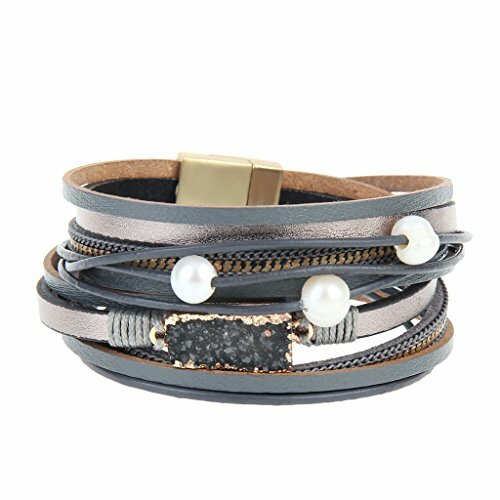 COOLLA Women Genuine Leather Vintage Colorful Beads Wrap Bangle Bracelet Pearl Pendant Magnet Buckle . At COOLLA Jewelry, we believe in our products. That's why we back them all with an 90-day warranty and provide friendly, easy-to-reach support. If you have any questions about this product by COOLLA, contact us by completing and submitting the form below. If you are looking for a specif part number, please include it with your message.